Five adorable animal design mits - just dip in the solution and wave your hands to create endless bubbles! For ages 3-10 yrs, from OgoSport. 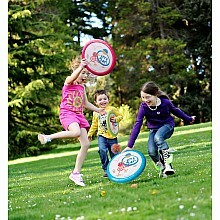 It's the flying, floating disk that launches and catches outdoor fun! For ages 3 yrs-adult, from OgoSport. 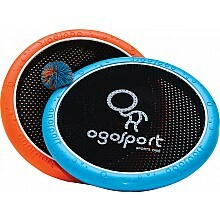 Bounce the OgoSoft Ball higher than high! For ages 4 yrs-teen, from OgoSport. 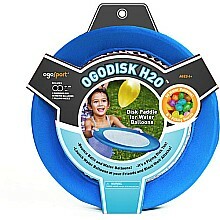 Two lightweight disks and 50 water balloons add up to hours of beach or backyard fun! From OgoSport, for ages 6-12 yrs.